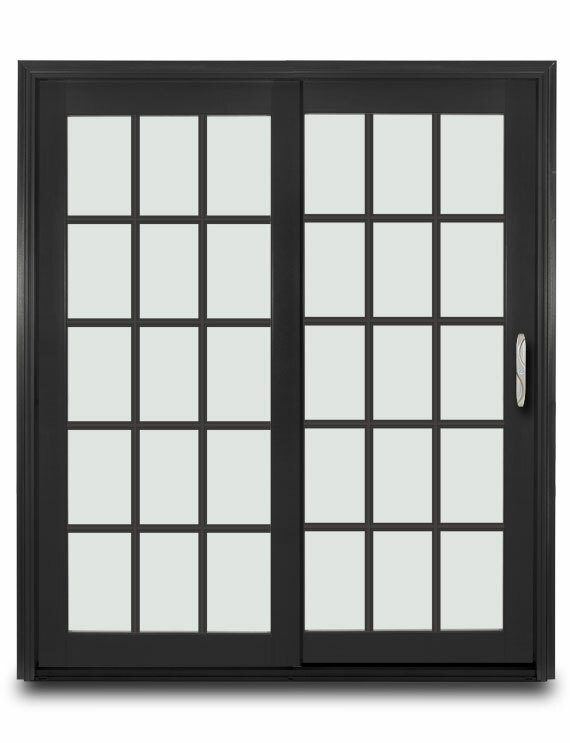 SunClad™ Sliding Doors offer many of the same features and options as our in-swing and out-swing doors, but in a sliding door configurations. 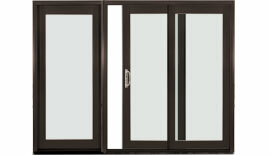 Sliding door operation can be selected as Left or Right active panel, as viewed from the exterior. 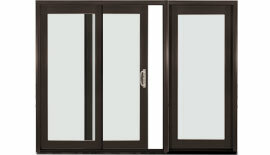 Available as two panel units, three panel units (a two panel unit with Fixed single unit mulled to one side), or four panel units with two operating center panels. 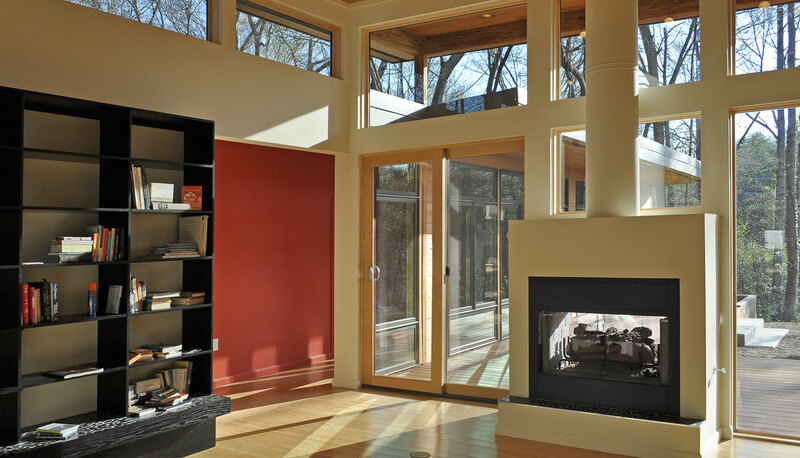 SunClad™ Sliding Doors open by sliding the operating panel sideways. 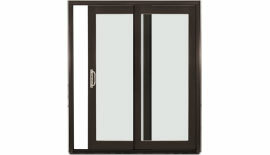 The operating panel can be ordered on the left or right side as viewed from the outside. 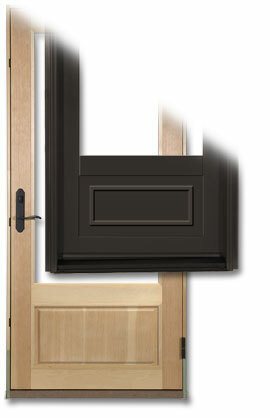 A dual latch handle set secures the panel when it is closed. 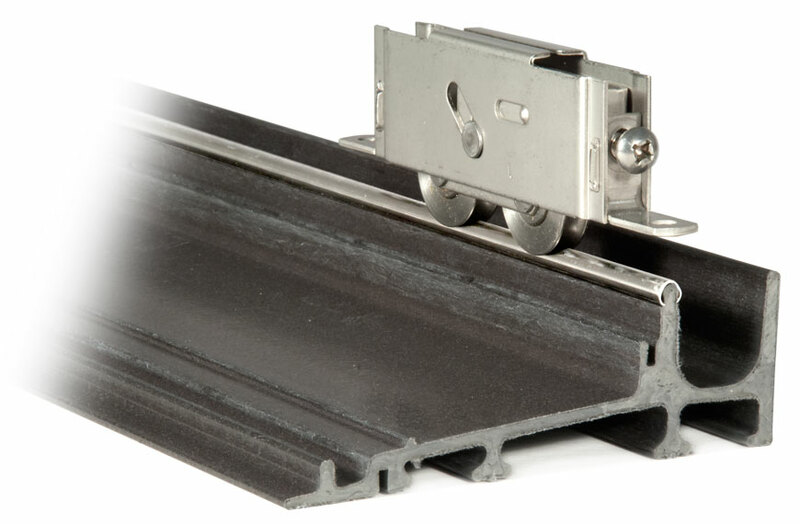 Smooth sliding action is achieved by the use of Truth Hardware all stainless steel tandem rollers with ball bearings which ride on a stainless steel guide track that is part of the fiberglass pulltruded sill. 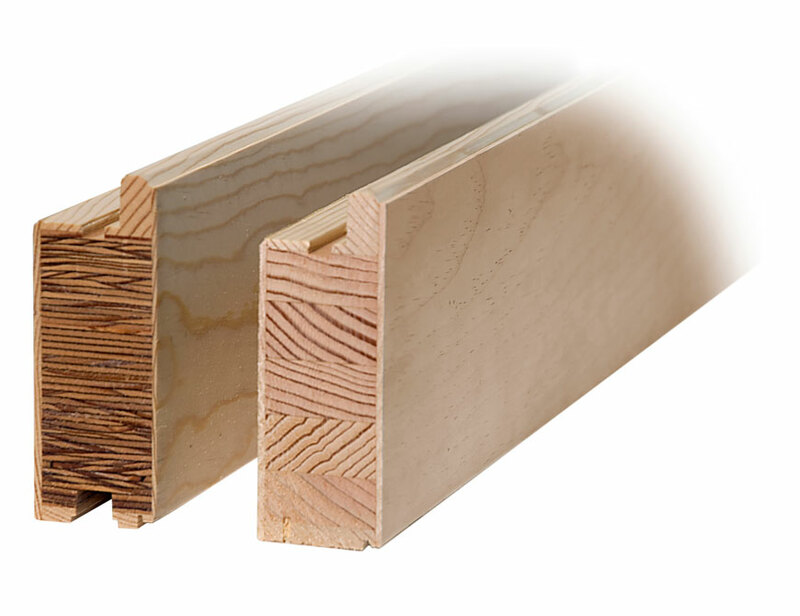 The rollers are side adjustable to fine tune the panel alignment and function. 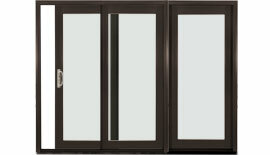 Sun’s Intuition handle set is standard on all sliding doors. Our Involute handle set is available as an option. Truth Hardware all-stainless steel tandem rollers with ball bearings provide smooth sliding of the operating panel on the guide track. 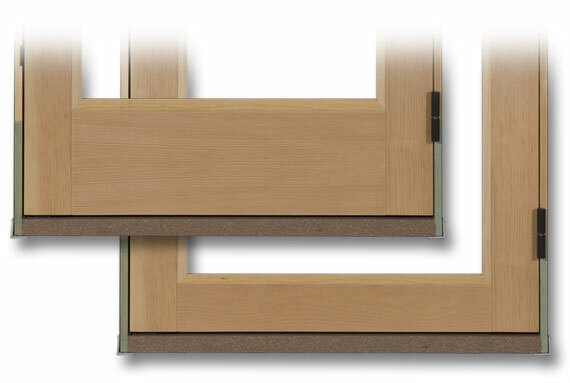 An optional footbolt is available in white or bronze finish. 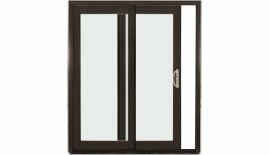 All Sun Sliding Doors come standard with our Intuition handle set. 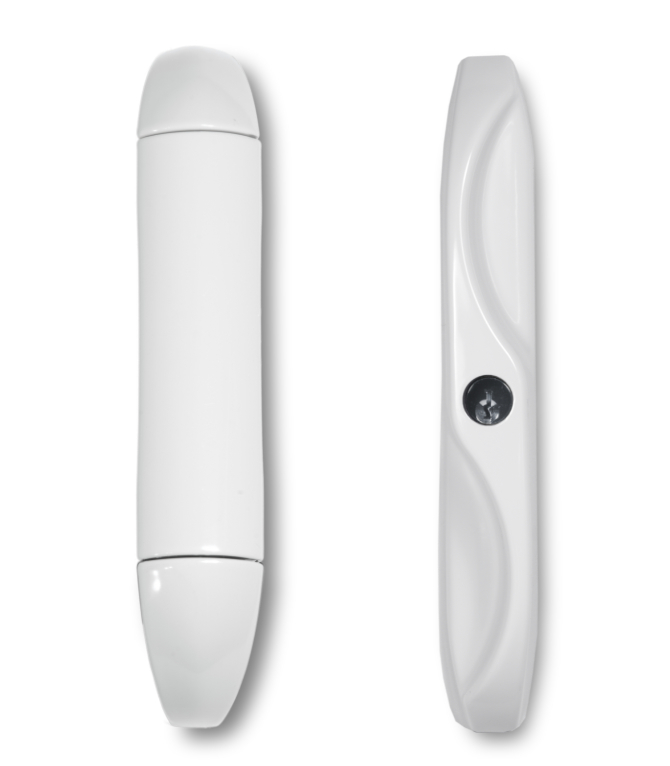 This contemporary handle offers intuitive latch release as you pull sideways to open the door panel. For a more traditional appearance, Sun offers the Involute handle set, which has the look of a classic “D” handle. 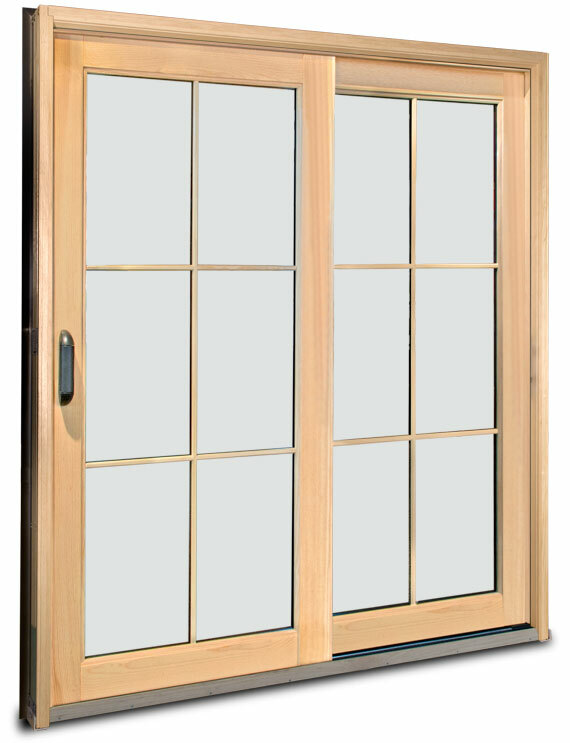 This optional handle set is available at no additional cost. 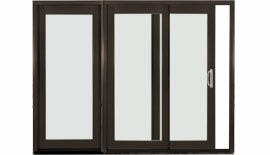 Sun also offers the upgrade Crest handle set in both large and small versions. 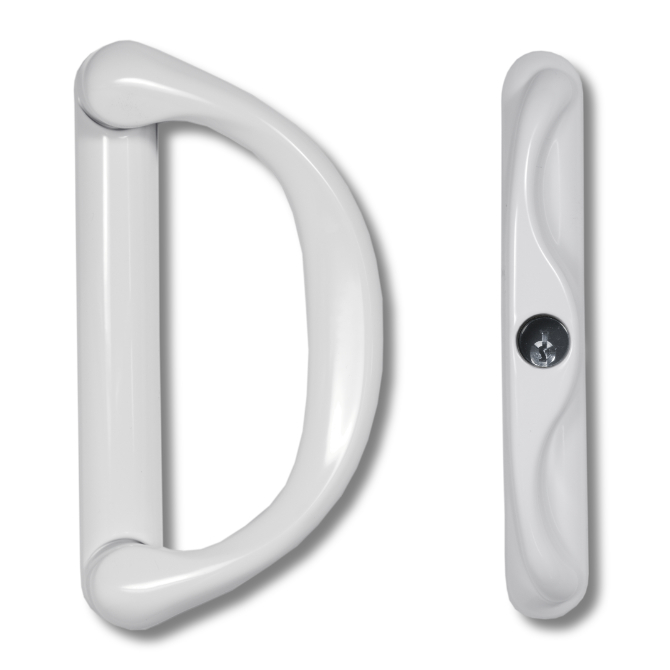 Upgrade handle sets & finishes available at additional cost. 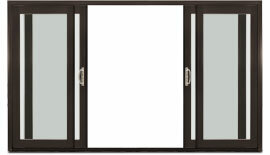 Sliding doors have a fiberglass pulltruded sill with a stainless steel guide track that engages the tandem rollers in the operating panel.